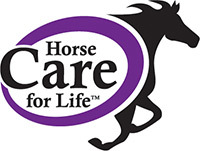 Horse Care for Life is fully mobile capable, so you can access your records anywhere, anytime. Won’t that be convenient during that emergency vet visit? Plus it’s completely free – you’re just required to sign up through your veterinarian (that’s us!). All we need is your full name and email address so we can send you an invitation. Call us at 303-279-4893, or email us at info@mvsequine.com to start your account today.